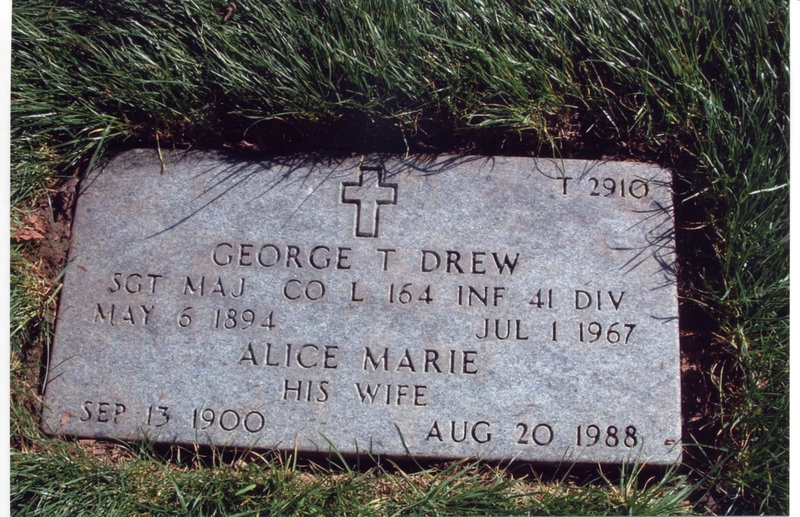 Description George T. Drew was involved in a plane crash on C. W. Kruse's cabbage field. (See Oregonian 8-1-1926, p.1, and photos 1345 - 1348.) Written on the stone: T 2910; George T Drew; Sgt Maj Co L 164 INF 41 DIV; May 6 1894 - Jul 1 1967. Alice Marie, his wife, Sep 13 1900- Aug 20 1988. Physical Description H 4"" x L 6""